Superior courts handle felonies, domestic cases (such as divorce), civil cases with real property, and appeals from lower level courts. Normally, Superior Courts are located in the same buildings as district courts. 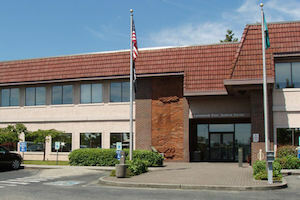 The Skagit county superior court is located in the same building as their district court in Mount Vernon. The Snohomish Superior Court is in the same building as their Everett District Court. The King County Superior Court is in the same building as their Seattle District Court. The Pierce County Superior Court is in the same building as the Pierce District court, as well as the Tacoma Municipal court.